reduce pigmentation and even skin tone, and reduce the intensity of various skin disorders such as eczema and allergic itching. This is a great blend for effectively lightening pigmentation and age spots. It also soothes sunburn skin and protects from UV rays and heals wounds. Regular use of this oil on the body and face guarantees a visible difference in skin tone and smoothens skin. Revive your natural complexion and revel in its glow. 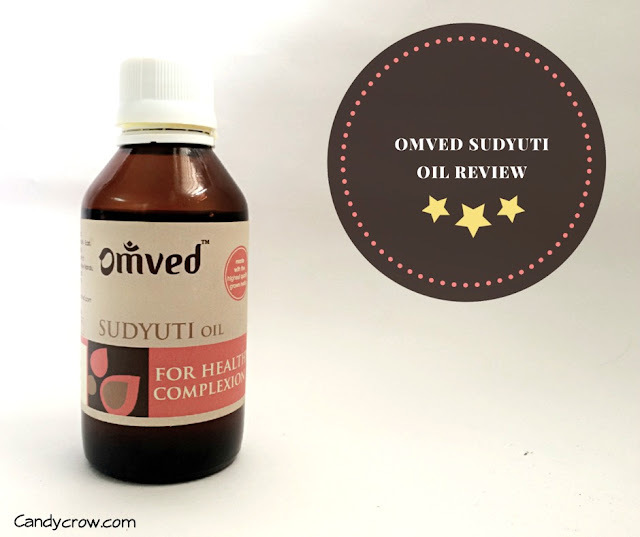 Omved Sudyuti is an ayurvedic oil; it comes in a dark brown color glass bottle with a plastic stopper. The oil is yellow in color with moderate natural herb fragrance. 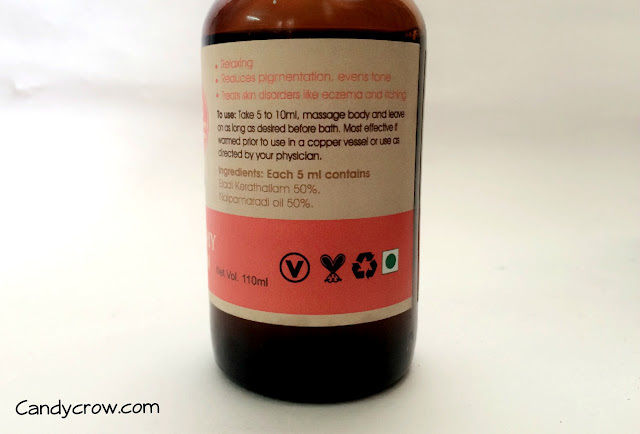 This oil is a combination of Eladi and Nalpamaradi oil. Eladi thailam is used to get glowing skin and treat acne scars, ringworm, and eczema. Nalpamaradi oil is made with sesame oil, vetiver, turmeric, saffron and gooseberry; it has been used to improve skin complexion, even tone skin and treat allergic skin disease. 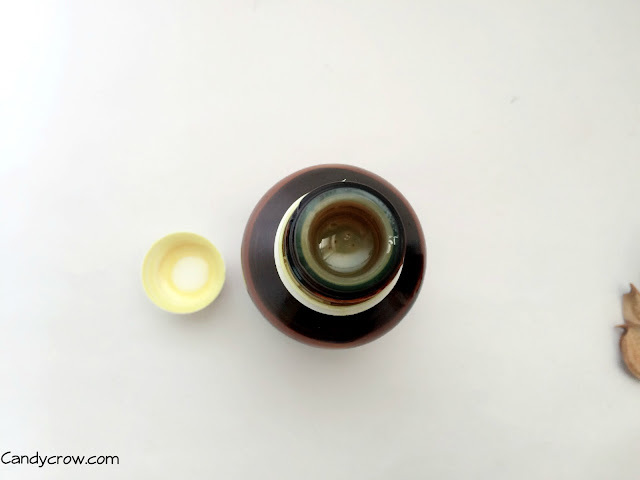 Sudyuti oil can be used to massage the whole body to get rid of blood impurities, or it can be used only on the face to improve the tone and complexion. I have been using this oil on my face for past two weeks, I take 2-4 drops of this oil and apply a thin layer of it all over the face and neck. Usually, I leave it for 2-3 hours and then wash it off completely, at times I also leave it overnight. I have always been sceptical about using oil on face but to my surprise, it did not lead to a single breakout or whiteheads. 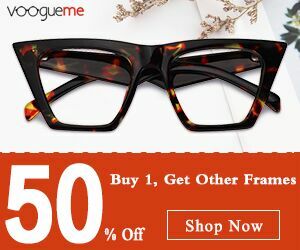 It did help in fading of acne scars and uneven skin tone up-to fifty percent. I also feel that it has nourished the skin and added a mild glow to it. If used long enough it might also help with pigmention. 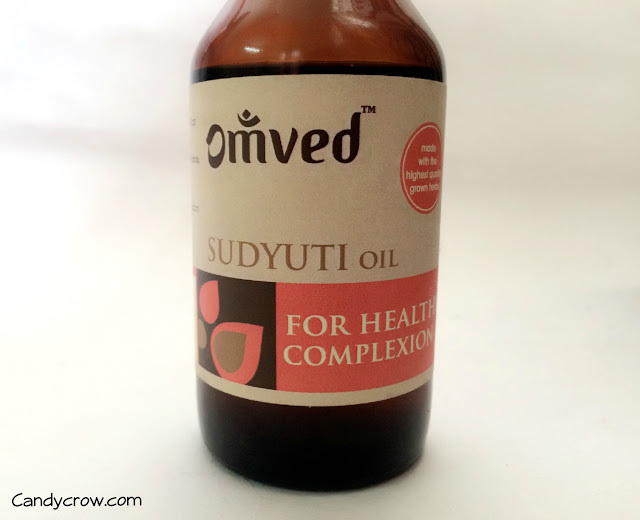 Omved Sudyuti oil is an amazing ayurvedic oil to treat uneven skin tone and acne scars. It helps in nourishing the skin and bringing back the lost complexion. I highly recommend it! * This oil stains your clothes. * Do not use on broken skin. * Always apply this oil to clean face. * Oil is more efficient if heated before use. 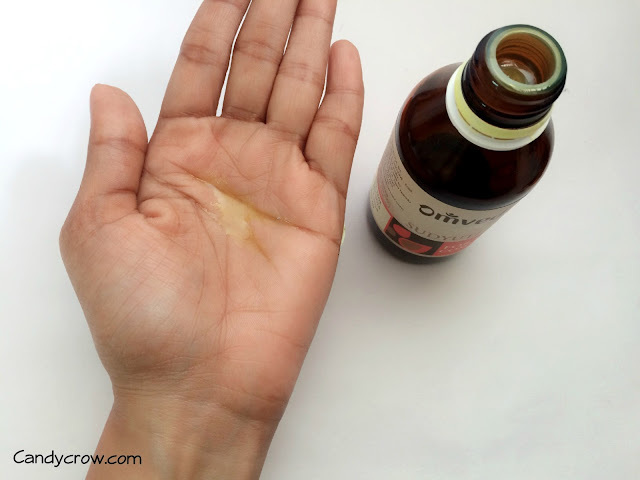 * Sudyuti oil can also be used to treat dry skin and itching. * Leave this oil on the face at least for an hour to see desirable effects.